It’s is no secret that I have a love affair with the royal family, so with the news of Prince Harry and Meghan Markle’s engagement it was all hands on deck here in the office. This week we are dedicating the entire post to all things Prince Harry! Take a peek below at some of our favorite stories to be a part of. With so many predictions swirling of what the wedding will be like and Kylie Carlson of The International Wedding and Event Planning Academy, shared what the couple might serve based on traditions and their favorite foods with Today.com. See the full article here. 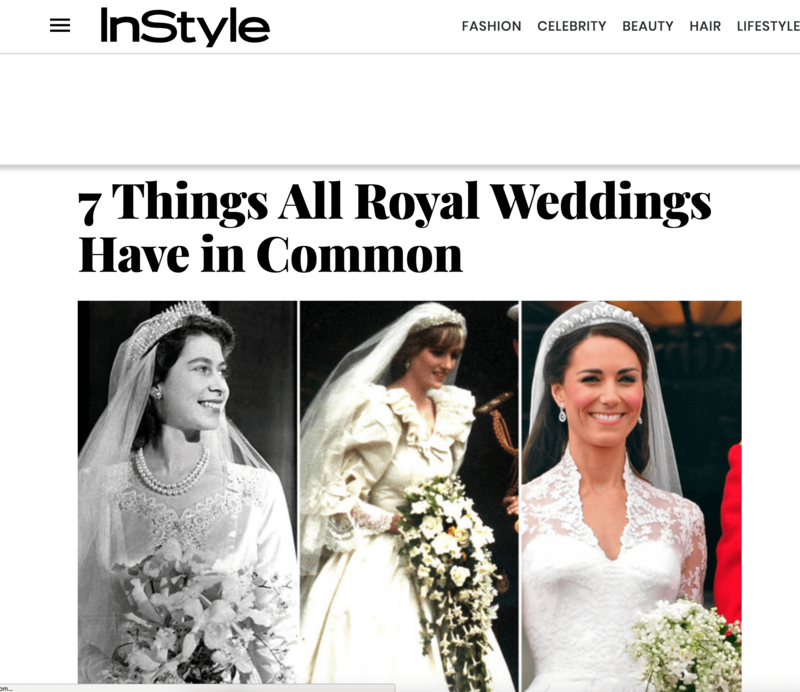 Over on InStyle The International Wedding and Event Planning Academy, Classic Photographers and Taylor’d Events Group broke down the 7 things that all royal weddings have in common. Don’t miss the full feature here. 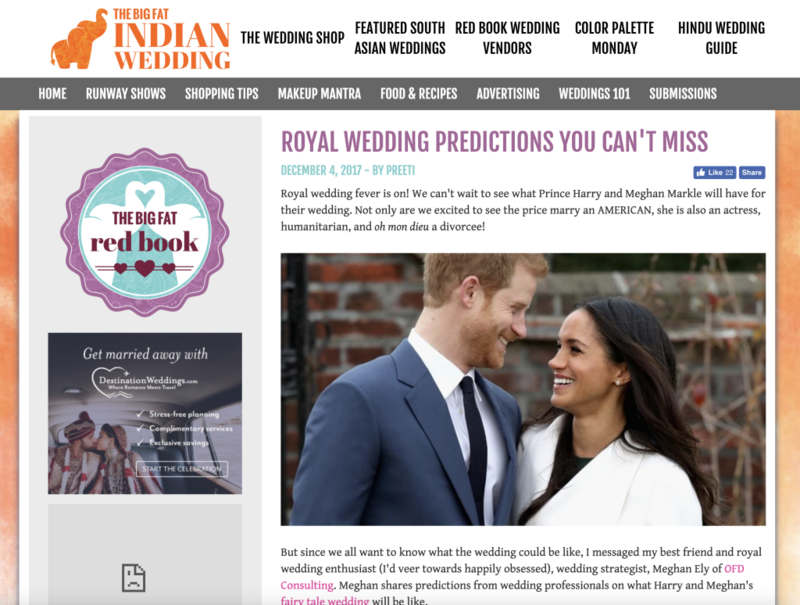 The Big Fat Indian Wedding we gathered the top wedding pros to give their predictions on what we might see from Harry and Meghan’s wedding. 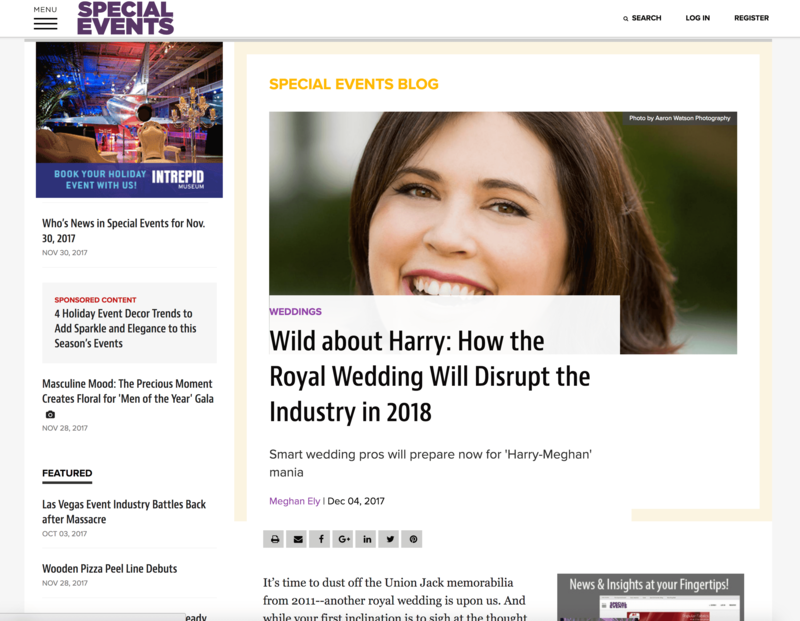 Nahid’s Global Events, The Renaissance, P3 Events, Destination Weddings Travel Group, 100 Candles, Sunshower Photography, Classic Photographers, and Michael Coombs Entertainment all chimed in with their expertise and vision of what we might see in May. Read the full feature here. 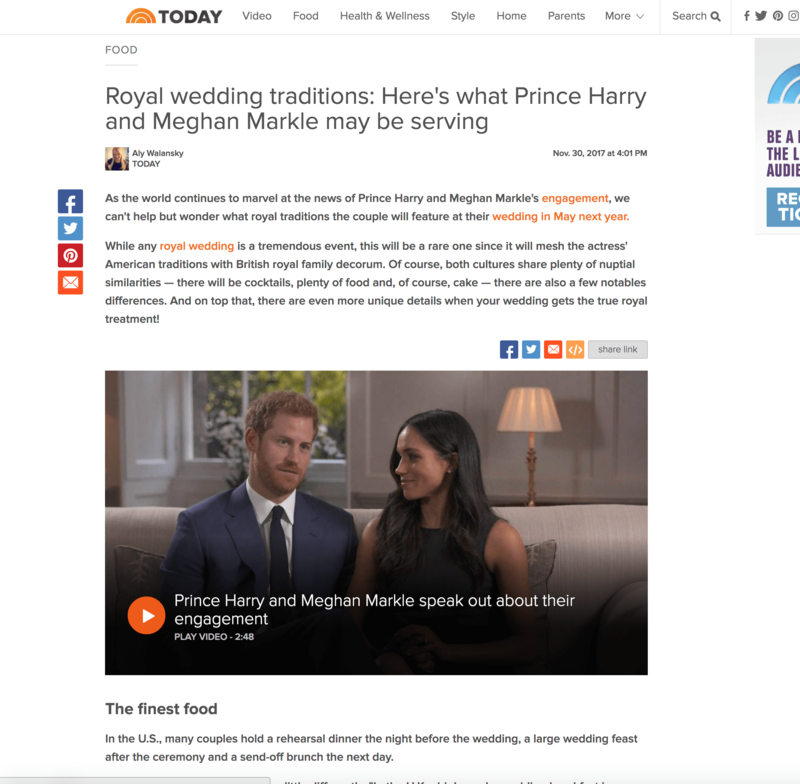 I was able to flex my royal wedding knowledge on Special Events by talking about how this wedding will change the wedding industry all around the world. Read the full feature here.